Pelvic floor weakness is very common for both men and women. 1 in 3 women who have had a baby have incontinence issues. At Total Health we either offer one-on-one personal training or small group training with a pelvic floor safe personal trainer. We work in conjunction with pelvic floor physiotherapists and will refer where necessary. 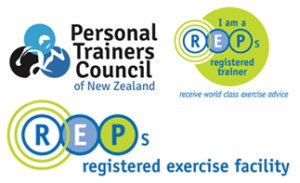 Emma is a registered Personal Trainer with Continence NZ. Small group sessions tailored to your needs, with exercises that are safe and effective.